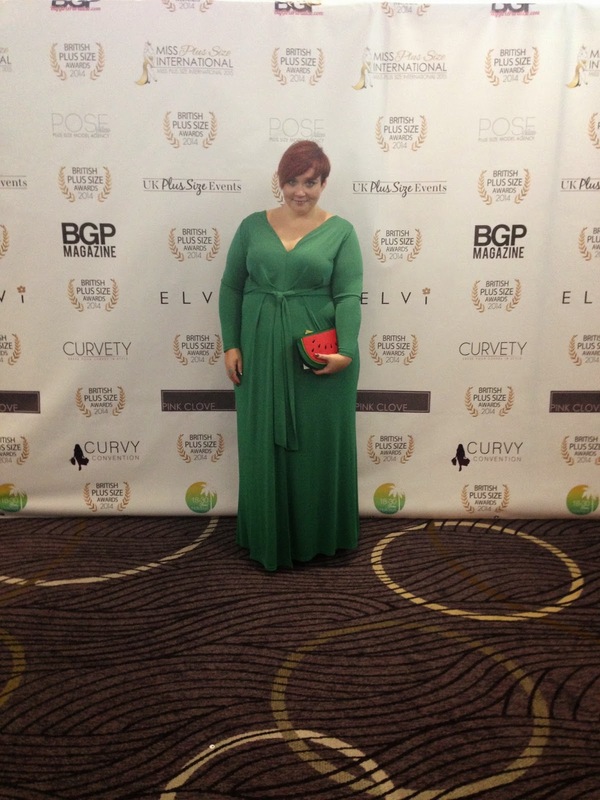 This weekend I headed to London for the 2nd British Plus Size Awards. The awards recognise the achievements of brands, celebrities, organisations and bloggers in the industry. I was honoured to be nominated again this year in the Best Blogger category. The event was held at the Radisson Blu Portman hotel and was hosted by handsome, cheeky welsh chappy Matt Johnson, who I have to say was hilarious. He took the time to have a chat with us outside where we shared a very special moment regarding our love of abandoned theme parks/theatres/buildings and I think it's safe to say, he was probably ready to whisk me up to his room and ravage me after that... Seriously though the guy is so handsome I couldn't stop staring at him. 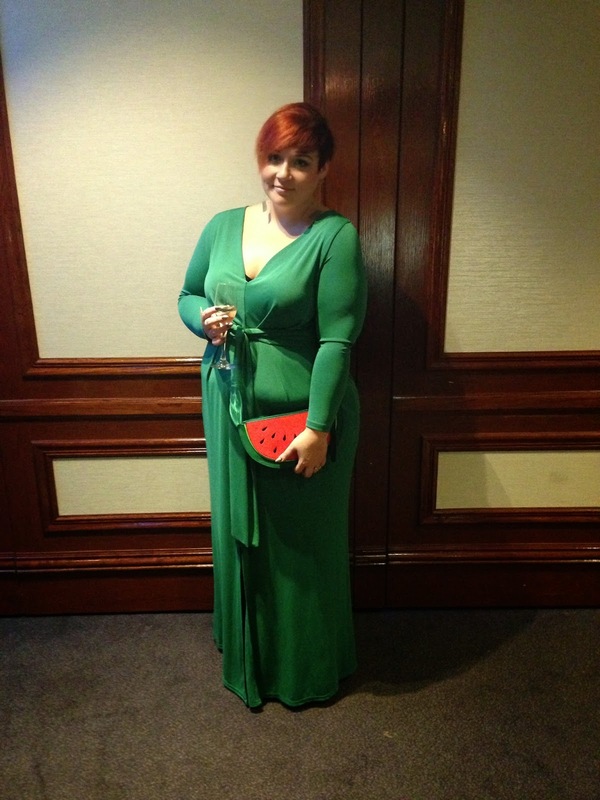 I was very kindly sent this beautiful green ASOS dress for the event. 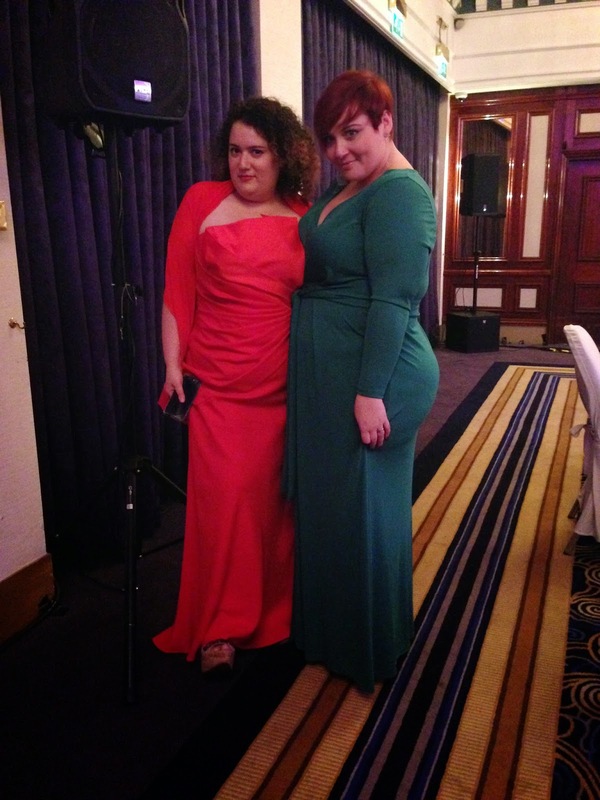 I remember last year I was so desperate for a green dress but couldn't find one, so when ASOS said they'd like to dress me, I knew exactly which dress I wanted, this tie front green maxi from Curve is my dream dress. I teamed it with the New Look watermelon bag that I bought from the lovely Lolly, and holographic accessories which I commissioned from the fabulous Black Heart Creatives. 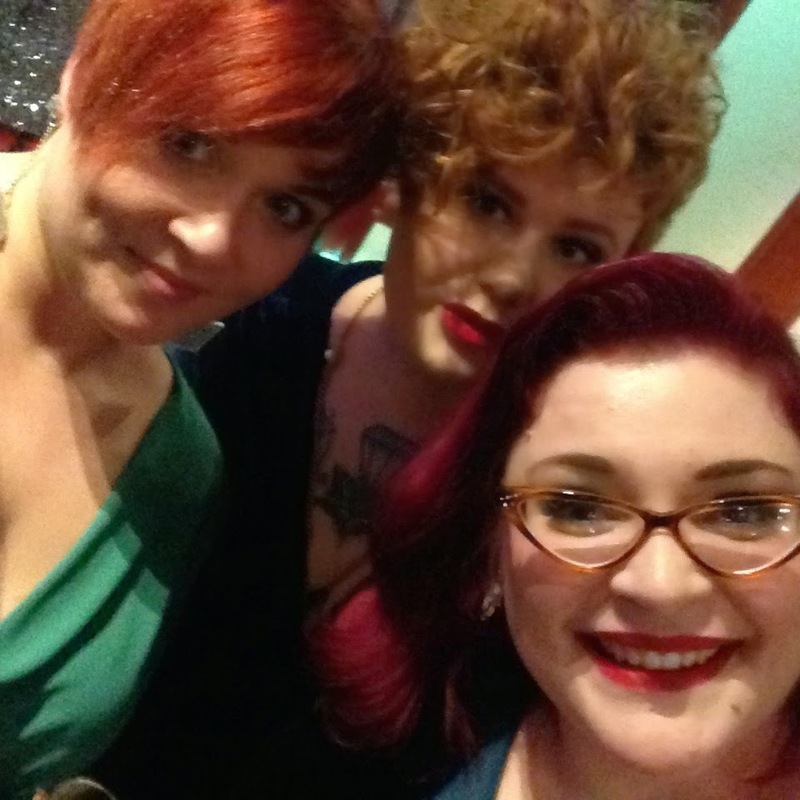 I was lucky enough to share an apartment with the most gorgeous of babes Kate and Elena, and completely, unintentionally, we all ended up wearing green dresses in varying shades to go with our varying shadse of read hair. 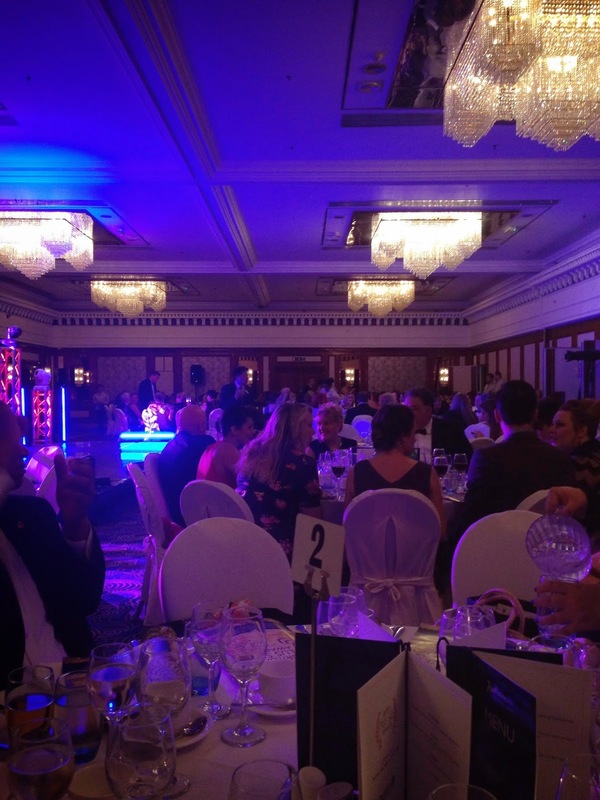 As the night got underway there was some wonderful food, entertainment and of course, the awards. 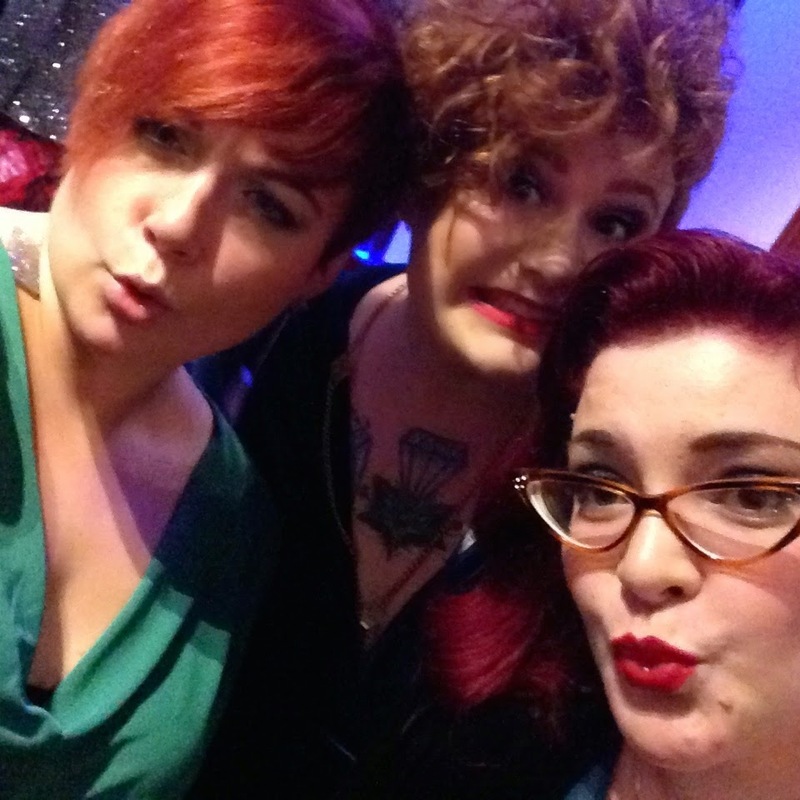 Sadly I didn't pick up the award for Best Blogger, but my favourite uber babe Betty Pamper did take home the gong and it was massively deserved! 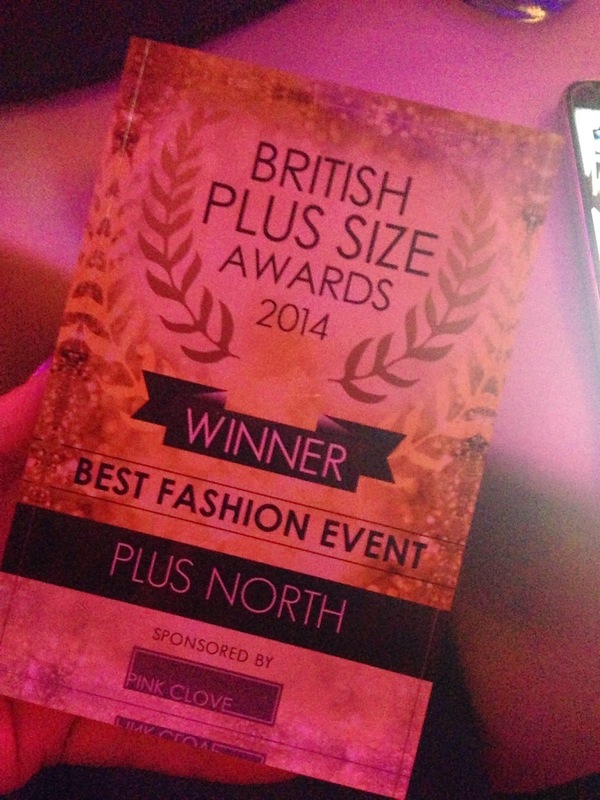 Not all was lost, I quite unexpectedly got to pick up the award for Best Fashion Event! As the founder of Plus North, I am massively proud of the event and the joy it's brought to peoples lives, and to finally get the recognition myself, Toni and every team member who has worked on the events over the years, it really does mean the world to us, so thank you! 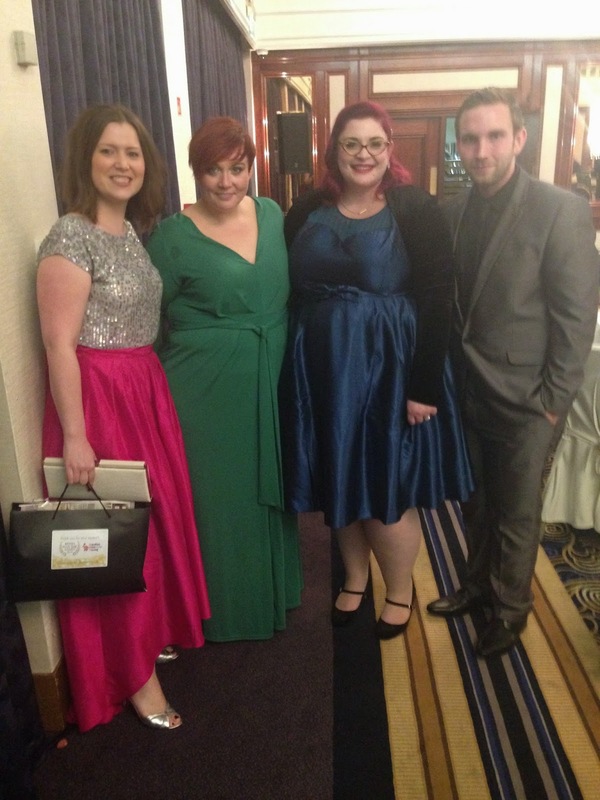 As well as picking up an award, I also got to hang out with lots of my favourite folk! 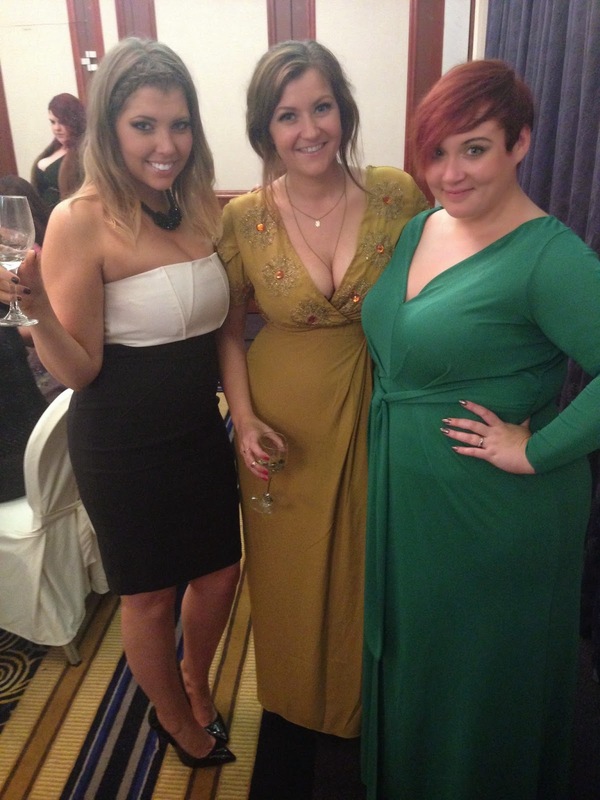 Myself, Hannah and Chantelle from Curvy Kate. And finally, I have to say a massive thank you to Panache Lingerie who made my attendance possible. They very kindly invited Elena and I along as their guests for the evening and yet again, my under garments (The Black Pure set from Sculptresse) were amazing comfortable and supportive. 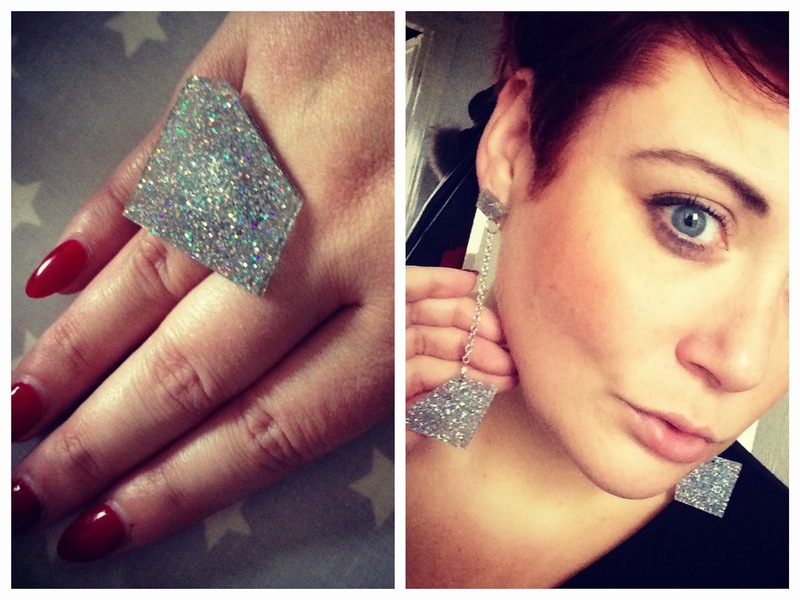 Every girl needs a decent foundation under a posh frock! Thank you again Jennie and Richard, we had a blast! Long time follow you but never had commented. Just tell that inspires me your blog and I love your looks. 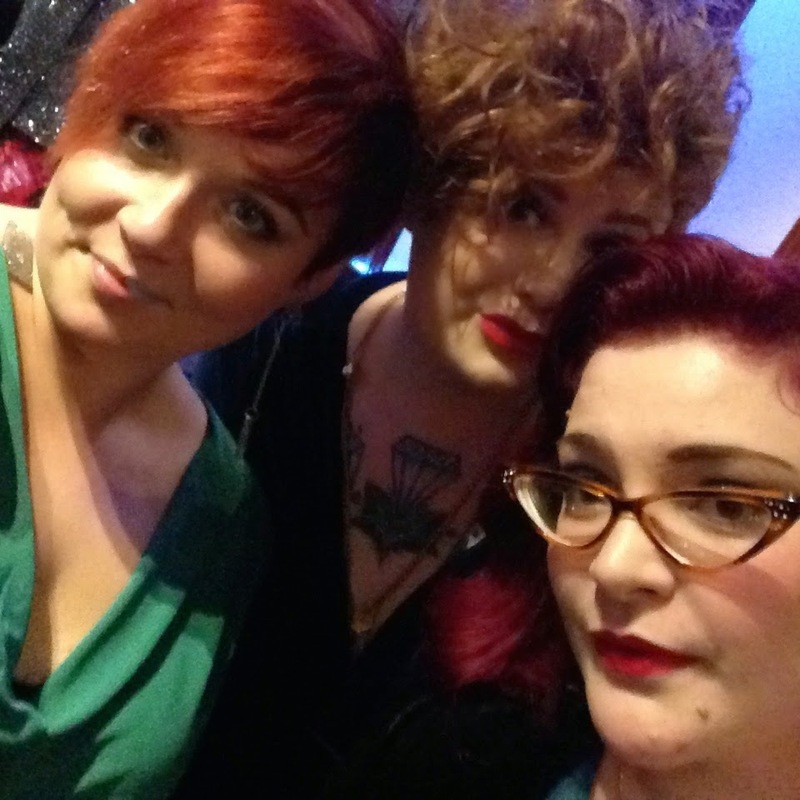 What a fabulous event! Congratulations, you looked so glamorous! Congratulations Becky!! I saw some of the piccys on IG and it looked like a great night! You deserve every moment of that win, I'm still pinching my pennies so I can come to a Plus North one year, so keep them coming!! Congrats on winning Best Fashion Event! The dress is stunning . .